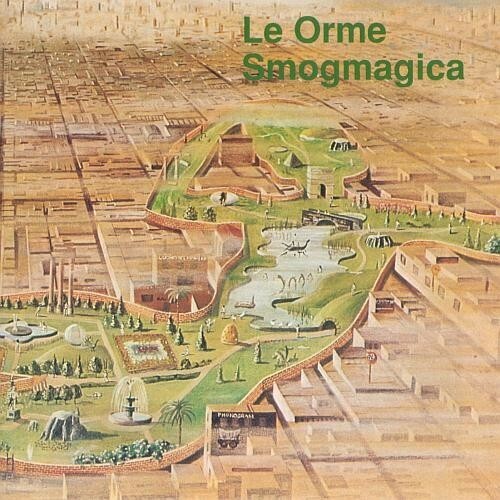 Getting sentimental, this was the first italian prog record I bought in Italy way back in the 70's. It is not my favourite Le Orme record but it is still good and it has this beautiful Paul Whitehead cover, which makes you wish back the good old Vynil Record Covers. Well, the main change on this record, after Contrappunti is the addition of a guitar player. the record was produced in L.A. and has a more americain sound in a positive way, it is broader and richer compared to some earlier records.My favourit track is Laserium Floyd an instrumental with a very nice bass/ guitar interplay.Amico d'ieri an italian sung ballad is very nice too and more in the mood of the earlier records. It is a rather melancolic record apart from one catchy pop tune (aimed for the F.M market?) and TMHO their last good record of the 70's.